The post 10 Best Portable Vaporizers of 2017 appeared first on High Times. The best portable vaporizers are designed to make consuming cannabis on the go healthier and stealthier. Vapor won’t harm your health as much as the tars and carcinogens that come from weed smoke. Best of all, the smell of vapor won’t linger as long or spread as far as smoke. The best portable vaporizers of 2017 are the easiest to conceal and smoke in public with. There are different kinds of portable vaporizers including ones designed for dry herbs, concentrates and pre-filled THC cartridges. 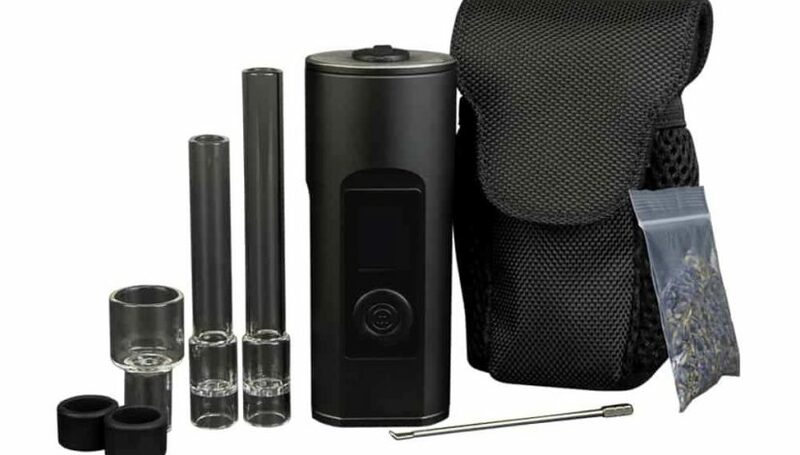 Arizer is a Canadian manufacturer of vapor products like the Air and Solo. The Solo II is the evolved, slimmer version of its predecessor with all of the features you loved from the original. There’s still an all glass vapor path for smooth hits. One of the best portable vaporizers when it comes to function. Pros: New bright LED digital display for a more approximate temperature control. Heats up in less than 30 seconds. The glass aroma tube provides excellent flavor. You can get large clouds of visible flavor with almost no compromise in flavor. Close to three hours of battery life. Cons: While this was made to take anywhere, it loses points in portability because of the bulky body with glass parts. Slimmer than the Solo 1 but it will still make your pocket bulge more than you’d like. Unless you have a protective case, it seems safer to use at home. Why We Like It: Faster heat up time and more vapor production in a slimmer package than the original Arizer Solo.